Sue has been a Paediatric Occupational Therapist for 20 years and has undertaken extensive Sensory Integration training and coursework in the USA. Sue is certified in Sensory Integration Therapy from the USA, and Bobath trained (neurodevelopmental treatment) in the UK giving additional insight into your child’s body alignment and movement patterns. She has a special interest in attachment and emotional regulation, and is trained in Therapeutic Listening and sensory feeding difficulties. Sue is also able to offer Sensory Processing combined with Therapeutic Story Telling to help support families and children with trauma and attachment difficulties. Sue treats children from 2-18 years of age. Parents find her sessions to be creative while kids have fun while working hard. Her particular interest is in sensory integration therapy due to its effectiveness and good results. Sue believes it is important to involve parents in the therapy sessions and work with them to support their children. 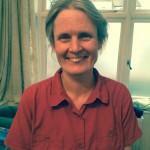 She can see your child at school, home or clinic in Southfields. Attachment Sensory Integration. April 2013, September 2014 and ongoing. Levels 1.2, 3, & 4 of the Sensory Integration Certification Courses by Western Psychological Services, USA in Oct 2013, March, June & Oct 2014. Leading to certification in Sensory Integration Therapy from the USA.